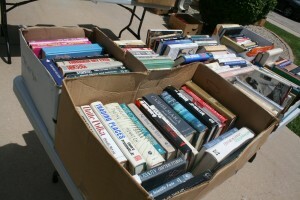 Annual Book Sale Returns on Saturday June 6th! On Saturday, June 6th from 8am-2pm, the Friends of the Library are once again hosting our annual Book Sale! We have thousands of books ready to go for this exciting sale that takes place during Oglesby Summer Fun Fest! There so many amazing titles for all ages just waiting for a good home! With books by popular authors, non-fiction bestsellers, and timeless classics – you’ll find the perfect selection of books to read while relaxing in the hammock or soaking up the rays on the beach this summer! Everything is priced to move so stop by early to have the biggest selection! Want to donate books for the sale? Feel free to stop by the library anytime before 4pm on Friday, June 5th with your donations and we will add them to the sale! 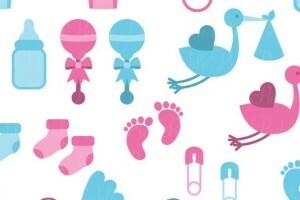 The voting period for our A-DOOR-able Baby Contest is underway! To vote for an adorable baby, just stop by the library and drop some spare dollar bills or change into one of the jars located at the circulation desk! If you have a baby in the contest, remember to tell your family and friends to stop by to vote! The more people stopping in, the better! The winning baby’s family will receive a $50 Visa gift card and all the money collected during the voting period will help the library build a new emergency exit in the children’s room! Stop in soon because voting ends June 1st! This April during Library Week and May during Children’s Book Week we held several drawings for books. We would now like to acknowledge our winners! Janice Rogowski won Memory Man by David Baldacci. Daniel Ricci won Giggle by Caroline Jane Church. Estevan Alfaro won I Survived the Nazi Invasion by Lauren Tarshis. Caleb Bjerkaas won I Survived the Sinking of the Titanic by Lauren Tarshis. Charles Niemiec won I Survived the Destruction of Pompeii by Lauren Tarshis. Michele Inman won Cam Jansen and the Millionaire Mystery by David A. Adler. Emily Guardarrama won Katie Kazoo Switcheroo Series by Nancy Krulik. Tiffany Bottoms won Amber Brown is Tickled Pink by Paula Danziger. 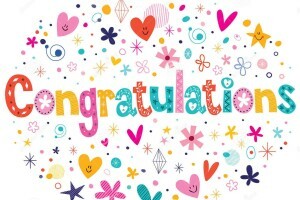 Justin Isbell won The Heir by Kiera Cass. Angelina Pelka won Maximum Ride Forever by James Patterson. Congratulations to all of our winners! Stay tuned in the future for more drawings! The Friends of the Oglesby Public Library are hosting an A-DOOR-able Baby Contest! Open to all Oglesby babies born after May 15, 2012. Please note that the entry period has ended. Fill out the form below or stop by the library to fill out a form in person. Please note that pictures received in person should be 5×7″ and are non-returnable. 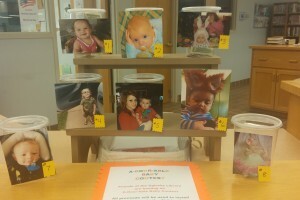 Your child’s photograph will be posted on a container displayed at the library from Monday, May 18 thru Monday, June 1. Voting will take place using loose change. The winner will be determined by how much money is collected in his or her container. All proceeds will be used by the Oglesby Public Library for the purchase and installation of an exit door in the Children’s Library room. Each vent donated will equal one point. The winner will be announced on Tuesday, June 2 (you do not need to be present to win) and a $50 Visa Gift Card donated by the Friends of the Oglesby Library will be mailed out to the winner. If you have any questions, please do not hesitate to call the library at 815-883-3619. Thank you for entering your child in this contest and best of luck! 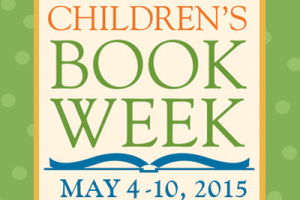 From May 4-10, we will be celebrating Children’s Book Week at the library! Children and teens who visit the library this week can sign up for a chance to win a book ranging in age level from board books to young adult novels. The drawings will be held throughout the week, so the earlier you sign up, the better your chances! All the books are very popular and there is even a new release in the bunch! Stop by the library today to see the books on display and have your child drop their name in for the drawing!